Cut the meat, fish and chicken in 3×3 cubes. For the marination of meat and chicken, mix yoghurt, Aleppo pepper, olive oil, onion and milk. Add the meat and the chicken in this mixture and marinate them for 12 hours in the fridge. For the marination of fish, mix olive oil, half lemon zest, bay leaf and garlic. Tight it out with a plastic wrap and let it rest in the fridge for 12 hours. For Adana Kebap, mix 300 gr of lamb meat and 100 gr of lamb lard, 10 gr of Aleppo pepper and 5 gr of salt. Ground the mixture through the meat grinder, place it in a bowl and let it rest in the fridge for 12 hours. 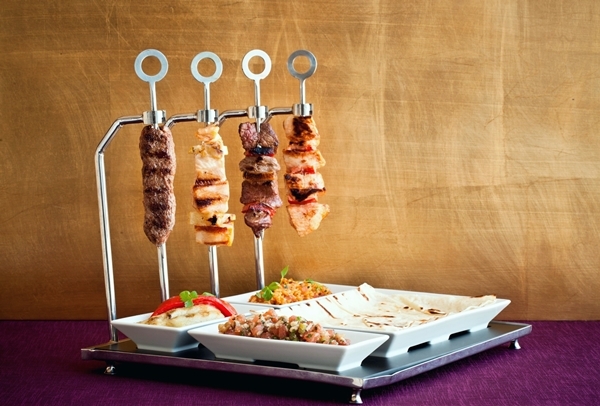 Spit each meat, chicken, fish and Adana Kebap on skewers and cook them on the grill. Cook the whole eggplant and bell pepper on the grill and peel them out. Wash the Frik bulgur with warm water and strain it until completely dried out. Put butter in a medium size pot and add diced onion and garlic. Once onion gets a light brown color, add diced bell peppers, bulgur and tomato paste. On medium heat cook the frik bulgur stirring for 5 minutes until tomato paste gets cooked. Then add Aleppo pepper, mint, parsley, salt and pepper to the mixture and cook for couple of more minutes. Peel the tomatoes and cut them in small pieces. Add hot chicken stock and tomatoes into the pot. Cover with a lit and turn the heat to low degree. Cook for 15 minutes. Let it cool for 15 more minutes before serving. For Gavurdağ Salad, mix salad condiments and add olive oil and pomegranate syrup. Serve all ingredients next to your grilled meats. Bon Appétit. 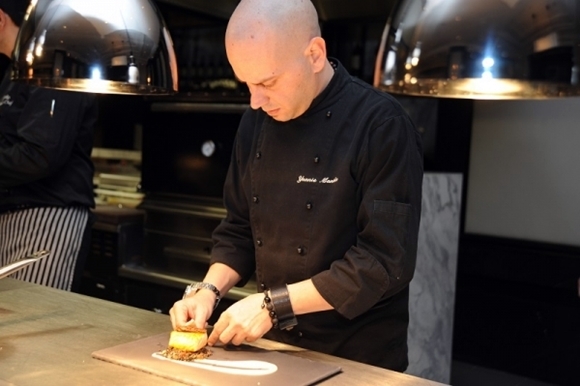 Yannis Manikis has been to food service industry for nearly twenty one years. 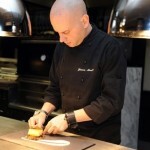 He started his professional career in 1993, at Restaurant L’Auberge, a 2 Michelin Star restaurant in Holland. Through his Greek roots, Yannis is familiar with Turkish culture and cuisine, as well as Aegean and Mediterranean cuisine. 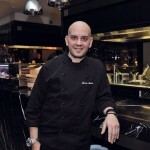 He holds a Culinary Management degree from University of Hague and Institute Paul Bocuse. He also holds a honors degree in Culinary Arts from Riverside Culinary Academy. 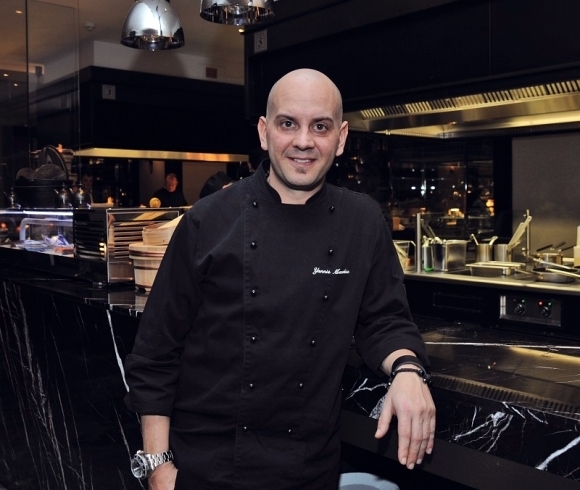 He was awarded as “The Executive Chef of the Year” in Hilton Worldwide EMEA Region for 2014.